These dancers showcase their Bolivian ancestry, history and traditions in spectacular costumes. The music and dances are from old Inca, Amazonian, Spanish conquistador and African slave cultures. 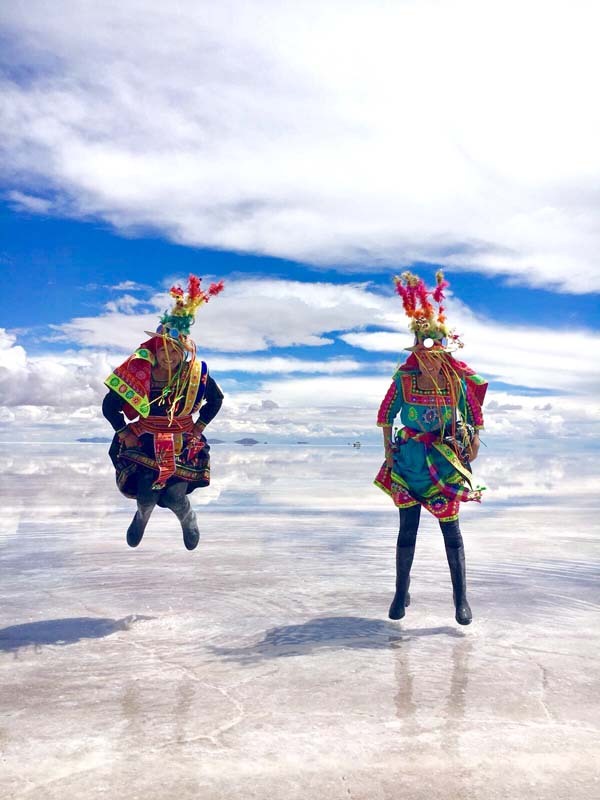 Partake in the ancestral rhythms of the Bolivian Oruro Carnaval honouring Mother Earth (Pacha Mama), El Tio As Diablada (Devils) and the power of the Afro-Brazilian Orixás (deities/deified ancestors) when called upon to bless and guide the dancers. The dynamic Tobas dance is from tribes of the upper Amazon. Be prepared for non-stop jumping, running and chanting while dancing the movements that mimic hunting and running in the wild! Dance into 2000 years of Bolivian history where each carnaval dance represents a story. From La Diablada - the dance of the devil - to the Afro-Bolivian Saya dance and Corporales - slave driver’s dance.